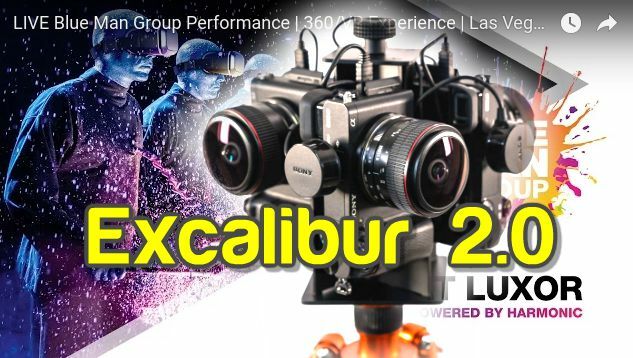 If you’re looking for a professional 360 rig but need it to be affordable and easy to use, be sure to watch the exclusive live launch of Excalibur 2.0, here on 360Rumors.com tomorrow at 6pm PT (GMT-7)! UPDATE: the recorded version of the live stream is below! Excalibur is a 360 camera rig that uses Sony A7 DSLRs. It has been used for VR productions for such brands as Estée Lauder, Blue Man Group, and General Electric. In spite of its high quality, Excalibur is actually more affordable than other competing professional 360 camera rigs of similar resolution. Tomorrow, Bonsai, the company behind Excalibur, will be launching Excalibur 2.0, with very useful improvements over the original Excalibur. Join the live stream of the launch here at 6pm Pacific Time, and you’ll get the opportunity to ask questions from its creators (and from me, if you’d like)! If you prefer, you can also submit questions in the comments below! I’m still waiting on the THOR from absolute zero, but this seems to me to be the next logical step, our company is creating VR content for tourism in Iceland, and the low light issue in the winters with the northern lights is an issue I doubt THOR can handle at the level of quality we want. Where are more details on the lenses they sell with this rig, curious about those. But for those that didn’t watch the video the rig with lenses, battery, raspberry pie was around 2k, with say using sony A7 iii each 2k, that is about 10k for the very professional setup, maybe someone else can come up with a more affordable say 1k mirrorless to bring the whole thing down to 6k but I think its clear this market is for commercial and professional use. Help me change the world! Join subreddit r/360camerareviews!